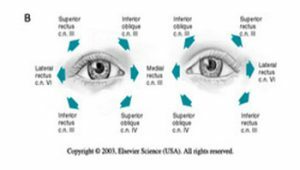 Perla pupils or famously known as pupils equal round reactive to light and accommodation is a kind of test, which show how your pupil react to the exposure of light and how they focus towards moving object. 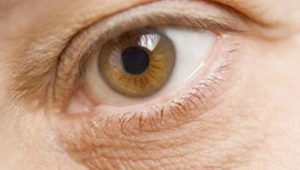 A certain states of your pupil may indicate that you are currently suffer from a disease, which affect your eyes such as high blood pressure or diabetes. Here is what you need to know about Perrla pupils. 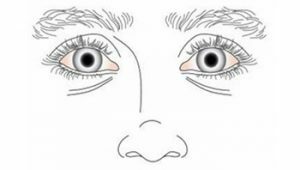 Pupils in Perrla mean the pupil on the patient’s eye. Your doctor or nurse will use a handheld flashlight or pen torch to see your pupil, checking the presence of the pupil on both eyes. Your eyes will be exposed by the light in some ways to see how your pupil reacts. Equal means the size of both of your pupil should be the same. Your doctor or nurse will use a ruler to determine the size of your pupil when it is dilated under the exposure of light and constricted under no light at all condition. To measure your pupil size in dark place, a special lamp called Burton’s lamp is used to expose your eyes. Round means the shape of your pupil should be like that. 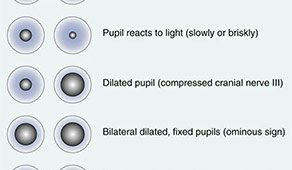 Round is the shape of normal pupil. Note will be taken if your doctor see abnormalities in the shape of your pupil. The shape of the pupil can be seen without a pen torch or handheld flashlight. This is a test where your eyes will be exposed by light to see how your pupil reacts. This is a major component in PERRLA test and can determine a big portion of your eye and health condition. The doctor will note the time needed for your pupil to constrict under the light from the pen torch. After checking with both eyes, which usually have the same time needed to constrict (if normal), the doctor then continue to the last test which is the accommodation test. 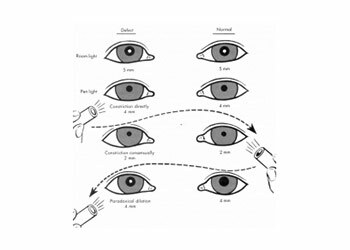 You will be stated to have a normal eyes if your pupil’s light test grade is 3++. Accommodation is a state where your eyes are focused into a moving object. The movement object should be a mix between far away and going in toward your eyes. 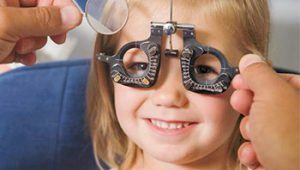 During the accommodation, the constriction and convergence of your pupil will be observed and your doctor will take note on the change of the pupil size and eye movement. Same like the light test, normal eyes should have an accommodation grades of 3++. When you take the PERRLA eye test, it is important that you take it before you feel anything wrong because early test can prevent you from further harm of an unknown disease you currently have. After knowing what disease you are having (if there is any), it is a great thing to have an early action to recover yourself and back to your normal health. A lot of people think that taking pupil response test is not important. Although you are not having any disease, it is suggested that you do the test every two or three years. Perrla pupils is good for you and can safe from a chronic disease. Normal Pupil Size for Perrla is 2 to 6 mm and round. Normal pupils must have the same size bilaterally. The pupil’s response will be controlled by the cranial nerves III, IV, and VI as your eyes move. There are some people who have one pupil smaller than the other. This is a normal condition called anisocoria. There are patients who have performed cataract surgery so that it has an irregular pupil shape. 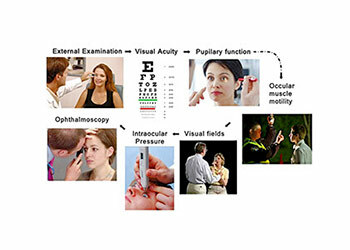 Simple tests that will be performed by the nurse will determine the normal eye except of perrla eyes. You’ll see some acronyms associated with those results. The nurse will carry a small ray from outside the corner of the eye to check the reactivity of the pupil. Normal responders are both must have the same reaction and fast. There is a slight increase in diameter of two or one seconds after your eyes get a bright light. The reactivity, size, and shape of the pupil may be affected by blindness, surgery, and medication. Signs of severe neurological injury can alter the reactivity and size of the pupil. The nurse can use a simple pen light to perform the test and this only takes a minute or two. You should not protect your eyes with one hand. The pen lights will be part of the equipment other than the stethoscope. Patients who have performed cataract surgery have uneven pupils so that the patient does not have a quick response to light coming into the eye. Prescription eye drops such as OTC can affect pupil dilation. This examination consists of assessing the shape, size, and reaction of the pupil to light. Other eyes will be observed for consensual responders. Tests for papillary accommodation are used to examine the size change of the papillary by diverting distant objects to close proximity. You can ask the client to stare at the object across the room. You can use your index finger that is placed 5 inches from the client’s eye to fix the gaze from the client. A distant object can cause papillary widening and nearby objects can cause papillary constriction. Another source says that the pupil size is 3 to 7 mm. The pupils will widen when they see a close and narrow object when they see a close object. Professor of Ophthalmology in Neurology from Weill Cornell Medical College says that you should stop using this abbreviation. Andrew G. Lee, MD says that the pupil has an RAPD. This test can only check one of three things that the doctor should check. The doctor should examine the pupil under light and in the dark room by swinging a flashlight. This examination can only test the accommodation and parasympathetic to light. It cannot provide information about anisocoria. Doctors may choose to leave this test or modify the test to PERRLARAPD. If the doctor relies solely on the technician, then the doctor can make a test error. If the patient has a major complaint called ptosis, then this cannot be explained by the test. The doctor should check the patient. Other errors may occur in the examination of the neuro-ophthalmic patient. It cannot eliminate margins in an instant and use the term for diagnosis. Doctors should know that optic atrophy is not a diagnosis. This is a sign. That’s all about Normal Pupil Size for Perrla.